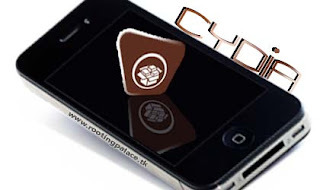 Root or jailbreak your phone: What is CYDIA? If you are an Apple iPhone, iPod touch or iPad user then you are already acquainted with this name CYDIA and what are its uses but for those who are not Familiar with this name let me tell you it is a third party application installer for your jailbroken iphone, ipod touch and iPad and it's almost similar to Apple’s app store. Jay Freeman (Saurik) is the developer of this application which open the door to install tons of apps, utilities and tweaks on idevices which are not possible with Apple App Store. So if you jailbreak your device with help of jail breaking tool it will install cydia. So what is the use of cydia? To over come this Question i will try to explain it with simple example. You would have probably seen guys with smartphone other then from Apple use to change their themes and customize their phones to achieve different look and UI, but if you are an iDevice owner and have never jailbroken your phone and installed Cydia then it is not possible to install theme or other apps which are not approved by app store on your iDevice because Apple dose't provide this ability, But if you have jailbroken iPhone and installed Cydia then it is possible to install theme on your idevice simply from Cydia install Winterboard and it will allow you to install themes on your idevices. Some usefull applications such as BTstack Keyboard which allow us to use Bluetooth keyboard to interact with idevices, Wi-Fi sync enable syncing with iTunes in wireless mode no need of USB cable. So now we can say that cydia allow us to install an applications and customizing tweaks which are developed by developers and programmers which are not available or approved in app store. So now you can enjoy lots of apps and tweaks on your iPhone, iPad and iPod touch.